Cute little pattern for a Scoop Neck Smock Top, with the option of Long or Short sleeves made in Wendy Happy 4ply yarn a lovely soft bamboo/nylon blend yarn. 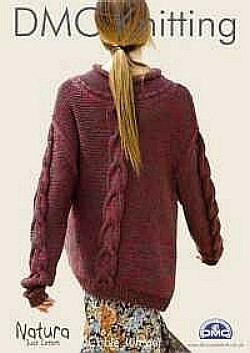 Short vest or cardi with a flattering inverted V shaped front in Mist superfine kid mohair. 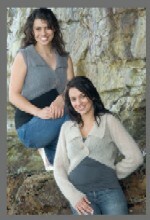 DMC knitting pattern is for a ladies bolero to fit sizes 38 - 48 in. 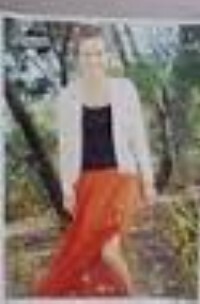 DMC knitting pattern 15011L is for a ladies cable jumper to fit sizes 38 - 48 in. 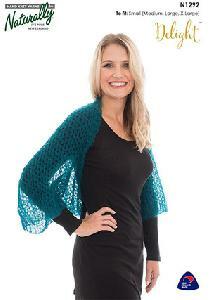 Cute little pattern for a knitted bolero top, made in Wendy Happy 4ply yarn a lovely soft bamboo/nylon blend yarn. This great value pattern is for a hat, a tank top, a cardigan, fingerless mitts, socks and flower brooches all knitted from Zig Zag 4ply! Choose from a long line v neck tank top or cropped three-quarter sleeve v neck cardigan and complete the look with the funky accessories. The designs use simple stitches to show off this great yarn and are small enough that they won’t take a long time to knit. Zig zag is a self-patterning 4ply yarn that makes brilliant socks as well as different types of garments and accessories and there are colour combinations to suit everyone. Use Zig Zag 4ply.